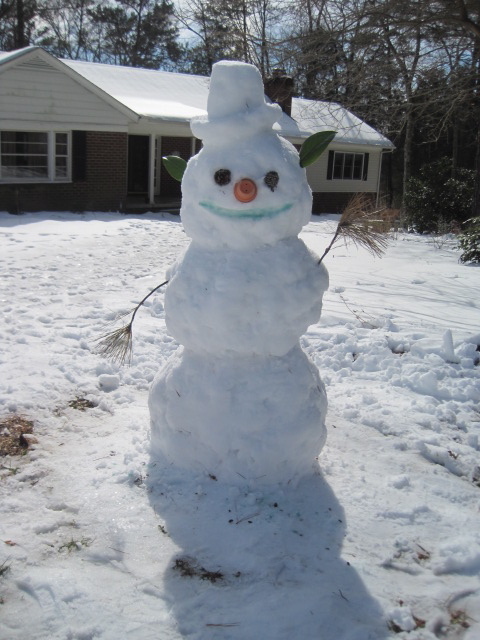 We got some very rare snow this past weekend and we had a blast. And, playing in the snow with friends is absolutely FREE! Here is Mark and Charlie pulling the sled up the hill, followed by a snowman they made. Actually, it looks like Charlie is the only one pulling the sled. 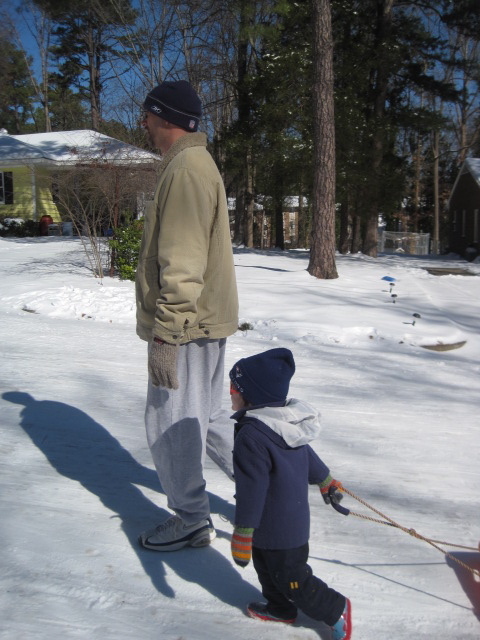 I think that photo was about the only time that day that Charlie agreed to pull the sled! We pulled him on that sled UP the hill way too many times. I loved seeing these pictures! Have you all been hit by snowmageddon? We had snow last weekend, but other than a few flakes yesterday, we’ve totally missed the snowmageddon that blanketed states just to the north of us.